A large percentage of Social Security recipients live solely off of that income. Here’s how you can live off of this benefit yourself. Past generations were often able to count on receiving a company pension when they retired, but this has all but disappeared from the landscape for those retiring now or in the near future. Many Americans in today’s world now have little to no retirement savings and count Social Security as their sole source of retirement income, and this trend is only likely to increase in the future. Statistics show that 20% of married couples and 40% of single retirees count on their monthly Social Security benefit for at least 90% of their income, and the average Social Security benefit is about $1,350 per month. If you will be living on Social Security during retirement, then you need to know how to make those dollars stretch apls far as possible. Perhaps the best thing you can do to make sure that you get the largest possible monthly benefit from Social Security is to keep working past your full retirement age until age 70, when you’ll get the maximum retirement benefit possible. This may not sound appealing, but it will help you in several ways. 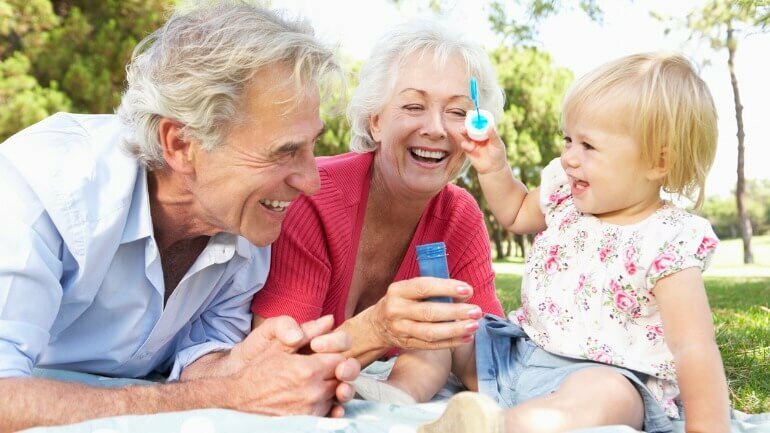 For one thing, it will reduce the amount of time that you have to depend on Social Security, and it will also allow you more time to contribute to your employer’s retirement savings program or IRA. Your Social Security check will also contain an additional 25% of your monthly full retirement benefit when you do start collecting, thus increasing your income. You might also want to consider getting a part-time job during retirement so that you are not completely dependent on Social Security for all of your income. Just be aware that Uncle Sam will tax Social Security if your income is above a certain limit. There are any number of ways that you can reduce your monthly living expenses. Canceling your monthly cable TV subscription and using Netflix and/or Hulu can be a great first step. Reducing your car and/or homeowner’s insurance premiums can be another. And if you have two cars and neither of you is working, you can consider selling one of them. This will also reduce your car insurance rates, and you could use the proceeds from the sale to pay off credit cards or other debt that you may have. If you live in an urban area, you might consider selling both of your cars and just using public transportation if it is available. It may be tough to have to give up some things that you’re very used to using, but it may be vitally necessary if Social Security is all you’ll have when you stop working. Healthcare is another major factor to consider. If you think that you’re going to need long-term care at some point, then you may need to pursue a Medicaid spend down strategy. If you’re disabled, then you may qualify for Social Security Disability income on top of your retirement benefit. Purchasing a Medicare supplemental plan will cost you up front, but may save you big dollars later if you ever have major medical bills. You should plan on shopping for the best plan for you every year, as your health needs change. You could also do some freelance work so that you could have access to a Health Savings Account (HSA), which would allow you access to private health insurance on a tax-advantaged basis. And, of course, do whatever you can to stay healthy with a good diet and regular exercise. If you are on any type of medication, be sure to take it as prescribed. Shared housing can be another good idea. If you don’t want to move out of your house but can’t afford to keep making mortgage payments with your Social Security income, then consider renting out a spare bedroom to a reliable tenant. This could easily net you another $800 or so a month-and be enough to cover your house payment. If you live in an apartment, consider getting a roommate so that you can split the cost of rent. Of course, these types of arrangements aren’t always ideal, but they can enable you to get by on just Social Security income in a pinch. You should also try to keep a detailed record of every dollar you spend, so that you know where your money’s going every month. You can do this on a spreadsheet, your phone or computer or on paper. But you may be surprised at how much you’re spending on certain items. Just be willing to cut some of those things out of your budget if you have to. 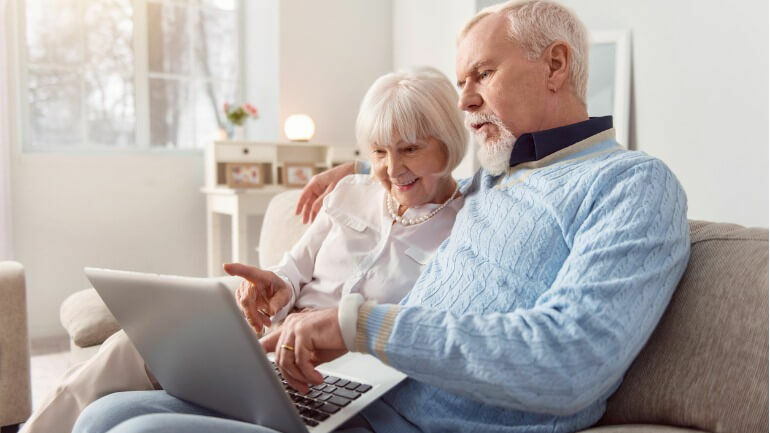 If you’re planning on retiring solely on your Social Security income, then the first step that you need to take is to see a financial planner to make sure that this will be possible. If your planner tells you that you can’t do this, then you’ll either need to work for a few more years or downscale your retirement plans. But you need to have a clear idea of exactly how much you’ll be getting from Social Security and what your monthly expenses will be before you stop working. Get a copy of your Social Security benefits estimate at least once a year to make sure that all of the numbers on it are correct and up to date and that you are credited with the proper number of retirement credits. If you don’t have any debt when you retire, then your Social Security payments will stretch that much further. Put in some overtime while you’re still working so that you can pay off those credit cards and car loans as well as your mortgage if possible. If you’re debt-free when you retire, then you may be able to live life largely on your terms with just Social Security income. But taking out a reverse mortgage can also help you cover your retirement costs, and this can be an especially good idea if your mortgage is already paid off. A reverse mortgage can provide you with monthly income for life. Social Security isn’t the only possible source of income that you may have; many seniors qualify for financial aid from other programs, such as SNAP (food stamps) or Meals on Wheels. 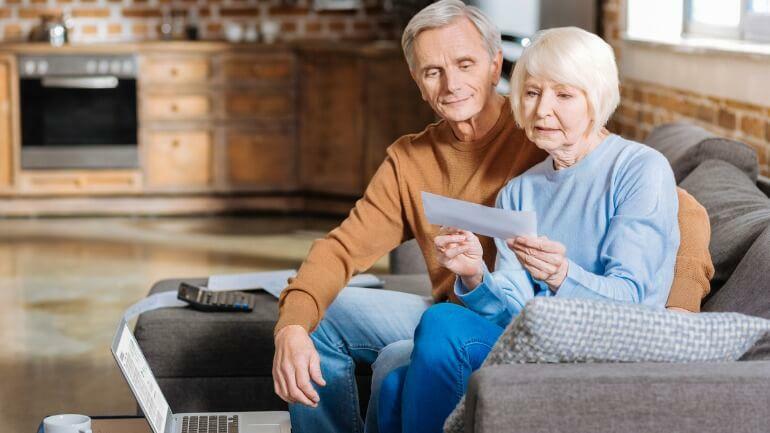 Many utility companies also offer programs to help low-income retirees pay their monthly bills. And many states offer credits or other incentives to help cover property taxes to residents who must file tax returns. Statistics show that up to a whopping 75% of seniors who are eligible for many types of aid programs fail to use them. You may also qualify for Supplemental Security Income (SSI), which is designed to help low-income seniors and those with disabilities with additional cash to pay bills. And if you are a veteran, check out the VA website to see if you qualify for any of their financial aid programs. BenefitsCheckup.org and Eldercare.gov can also point you to programs for which you may be eligible, such as assistance with prescription drug costs. If you don’t mind pulling up stakes and moving, consider moving to a state that has no income tax. Or, you could even move to another country where the cost of living is much cheaper. The Caribbean and the Far East are good choices here, as well as South America. Florida, Washington, Alaska, Texas, South Dakota, Tennessee and Nevada are other popular retirement destinations because there is no state income tax in those states. If you have a cash value life insurance policy, then you can access the cash value when you retire to supplement your income. You can do this one of several ways. The simplest way is to simply withdraw the cash value from the policy in a single lump sum. This will leave the policy in effect, although you may have to continue making premium payments after you retire. You can also just cancel the policy and have the insurance company send you your net cash value after all applicable fees and surrender charges have been paid. Of course, this will leave your beneficiaries bereft of the death benefit that would have paid out when you die. You can also take out a loan from your policy using your cash value as collateral. One big advantage here is that there are no underwriting requirements for this type of loan, as you are essentially borrowing from yourself. Just make sure that you don’t take out so much that it causes your policy to lapse if you want to keep it in force. The death benefit will also be reduced by any amount of loans outstanding or the amount that you withdrew while you were living. There is another alternative available if you own a life insurance policy that has any material amount of cash value. It is possible for you to sell your policy to a qualified buyer. This alternative will generally net you the most bang for your buck from your policy. In this type of arrangement, a qualified buyer (usually a life settlement company) will pay you a hefty sum up front in return for being named as the new beneficiary on the policy. The company will then assume the responsibility for paying the policy premiums and will collect the death benefit when you die. And in many cases, you will receive two to three times the amount of cash value that has built up in your policy, so this can be much more profitable than simply cashing in your policy or taking out a loan. If you are terminally ill, then a viatical settlement may be the best route to go. This essentially works the same way as a life settlement, except that you will generally receive a higher payout from a viatical settlement. It is possible to retire on just Social Security if you play your cards right. Try to get completely out of debt before you retire and make sure that you have adequate health insurance before you stop working and plan ahead carefully. If you have a cash value life insurance policy, then a life settlement can provide valuable funds when you need them. Consult your financial advisor or life insurance agent for more information about retiring on Social Security and life settlements. You can also visit the Social Security Administration website at ssa.gov or AARP’s website at aarp.org.